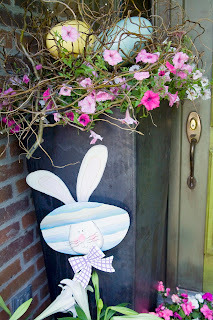 Had color, fun and excitement to your home by creating your own Easter nest arrangement. Soooo simple. 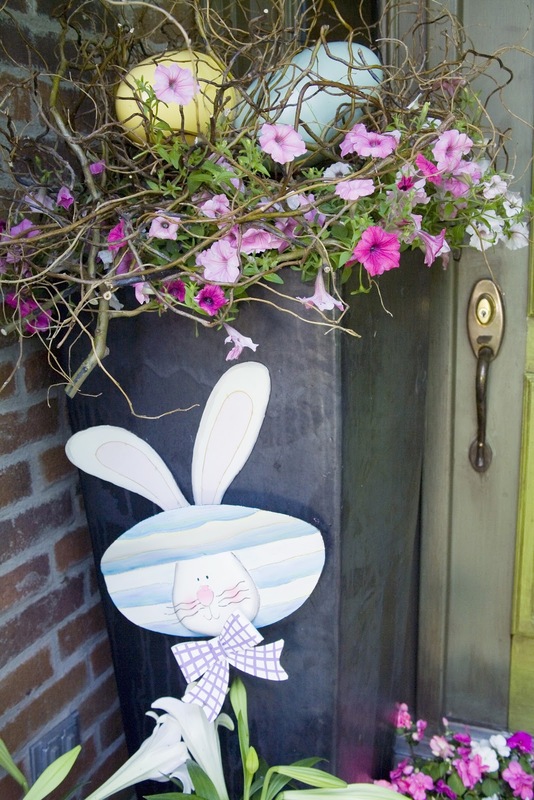 Just take a lush blooming hanging basket, just place the pot into another decorative container without actually planting the plants. Then take the hanger off the basket. Now take fresh cut contorted willow branches and create your own nest in the middle of the plants. 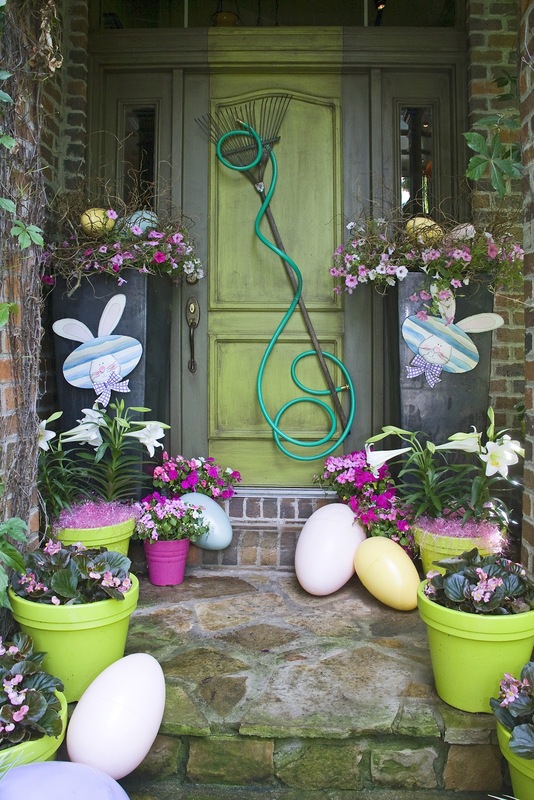 For the final touch, place colorful plastic eggs in the center of your newly created bird nest. The flowering plants mixed with the willow branches and vibrant eggs are the perfect Easter arrangement.